Now that we’ve finished out our Cinemakers season of Christopher Nolan movies, it’s time for another quick detour/one-off episode to cover two films by a trio of up-and-coming filmmakers: the RKSS Collective. 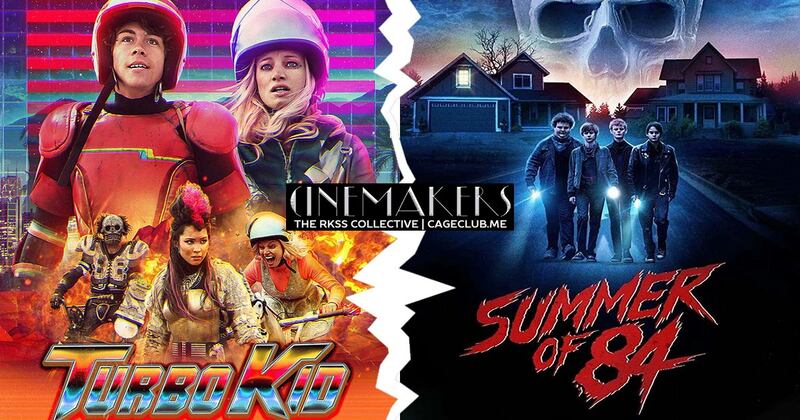 Both Turbo Kid and Summer of 84 rely very heavily on nostalgia for the 1980s, but do they hold up as films or do they buckle under the overabundance of references and allusions? To answer this question, we welcome Nick Jenkins of the Reel Bad podcast, to help us break down both movies and figure out what works, what doesn’t, and what might come next. Want even more Summer of 84? Check out today’s episode of High School Slumber Party!